Last week, American Airlines and one of its subsidiaries agreed to pay approximately $9.8 million in stock to settle claims made by ex-employees who alleged that they were discriminated against as a result of their disabilities. 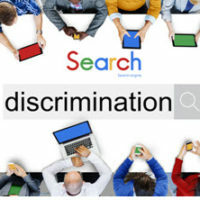 Unfortunately, this type of discrimination against employees with disabilities is not uncommon, so if you or a loved one are being treated unfairly at work because you have a disability, it is critical to contact an experienced employment discrimination attorney who can help you hold the responsible party accountable for their actions. American Airlines and Envoy Air recently agreed to settle a nationwide class disability discrimination suit. Filed by the U.S. Equal Employment Opportunity Commission (EEOC), the lawsuit alleged that between 2009 and 2015, the two airlines unlawfully denied reasonable accommodations to hundreds of employees with disabilities ranging from knee and back problems to cancer. Specifically, the companies violated federal law by requiring their employees to prove that they had no physical restrictions related to an injury or illness before they could return to work following approved medical leave. According to this policy, no steps were taken to determine whether reasonable accommodations, such as reassignment, would have allowed employees to return to work and fulfill their job duties. Instead, the companies fired the employees or forced them to remain on unpaid leave. This type of conduct is in direct violation of the Americans with Disabilities Act (ADA), which prohibits disability-based discrimination and requires employers to provide reasonable accommodations to employees who have disabilities. The only exception to this rule is when making accommodations would cause the employer to suffer significant expense or undergo extreme difficulty. However, even in these cases, employers are still required to attempt to reassign the disabled employee to another position before terminating that person’s employment. Designate an ADA coordinator who is tasked with reviewing accommodation requests and helping the company comply with federal law. It is hoped that these changes will help prevent such widespread and systematic discrimination in the future, while also helping victims recoup their losses. While the parties in this case were able to avoid lengthy and expensive litigation by reaching a settlement, this is not always possible. If you were discriminated against at work as a result of your disability in Florida, please contact Saady & Saxe, P.A. Attorneys At Law by calling 813-909-8855 to speak with a dedicated employment discrimination lawyer who can explain your legal options.